The Melina Hotel is located in the town of Fira, just 4 km from the airport and 8 km from the port, and features the traditional architecture of the Cyclades Islands. 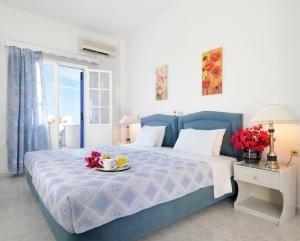 This bright room has a private balcony with views of the Aegean Sea or the pool. It also includes 1 double bed or 2 single beds, air conditioning and TV. 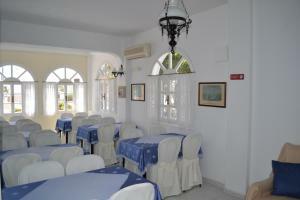 This bright room has a private balcony with views of the Aegean Sea or the pool. It also includes air conditioning and a TV. In addition, some rooms consist of 2 levels.